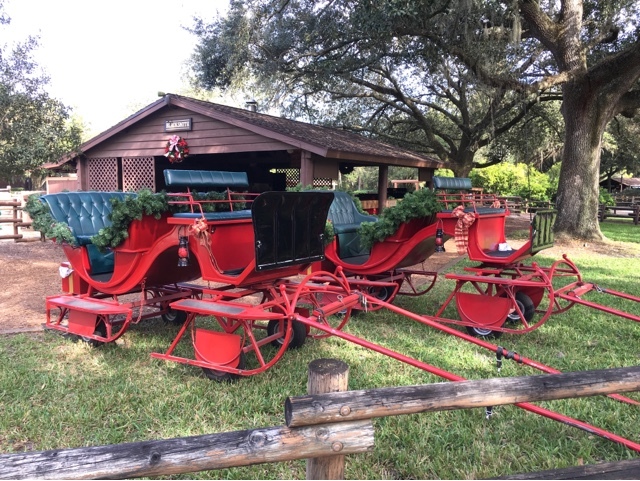 During the holiday season, Fort Wilderness offers a horse-drawn sleigh ride for guests to enjoy. 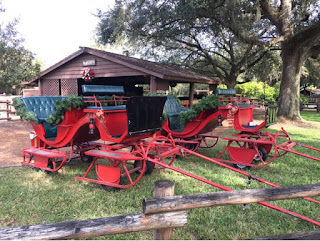 Although the sleighs look very authentic, there is obviously no snow to be found in Central Florida. So, these are "modified" versions with small wheels at the base. I took this shot a few weeks back while visiting this resort.